Owned and operated by Willians & Pamela Castañeda, in Alvord, Texas. 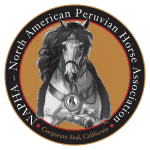 Specializing in Peruvian horses, the Castañedas offer training, show ring presentation, stallions at stud, and sales. We have a selection of quality horses for sale at all times. We pride ourselves in matching horse and rider. If we don’t have the right horse for you, we would be happy to help you find it! Lone Star Training Center has several stallions available for breeding. Ask us about our $5,000 Foal Incentive! We have decades of experience in training horses, with a specialization in Peruvians. From start to finish, we strive to have a well rounded horse. We have shown horses to hundreds of titles in the show ring, as well as expert trail horses.